Mature gardens surround the large 10m by 5m walk-in pool and sunbathing terrace, complete with loungers, pool towels, parasols & large gas BBQ. 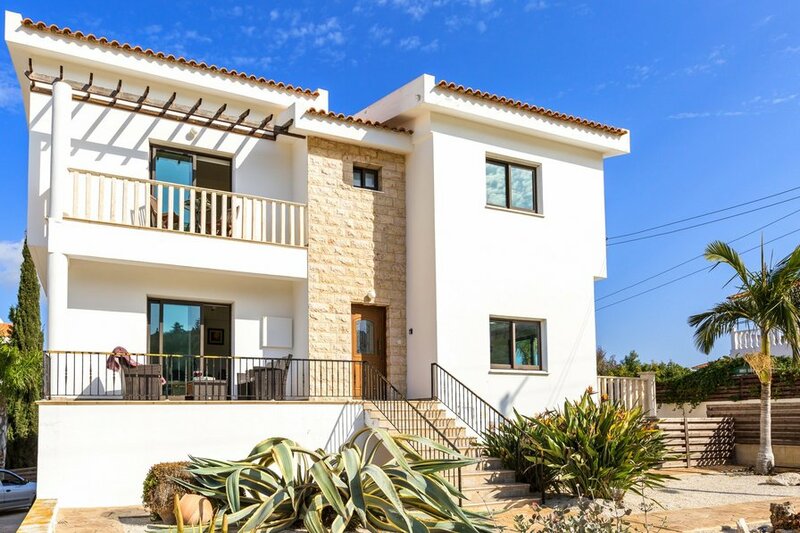 Tastefully furnished and stylishly equipped, this spacious 3 floor villa comprises living area, dining area, both with balconies, shower room and fully equipped modern kitchen on the middle floor. It also has a handy utility room on the ground floor where you will find a washing machine, sink and small drinks fridge as well as storage space. The bedrooms are on the upper floor, comprising master double bedroom with en suite bathroom and small private balcony, two twin-bed bedrooms and family bathroom. In the living room a 42” HDTV with android box (enabling 100's of movies and live TV from across the world)mes) are provided for your entertainment, there is also internet access should you wish to browse the net, whilst a wide-screen TV with satellite connection can be found in the master bedroom. All rooms are equipped with air conditioning, and the lounge benefits from cooling ceiling fans.